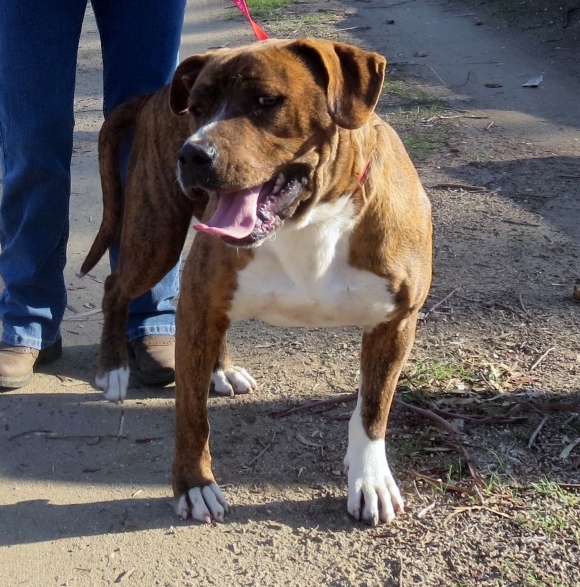 Breed: Male, red and brindle Pit/Mastiff mix. Description: Exceptionally sweet dog. Has had female roommates and is friendly to them. Like people very much.